Different types of bird or reptile eggs hold different requirements. The process is still the same, but with temperature and humidity variations. 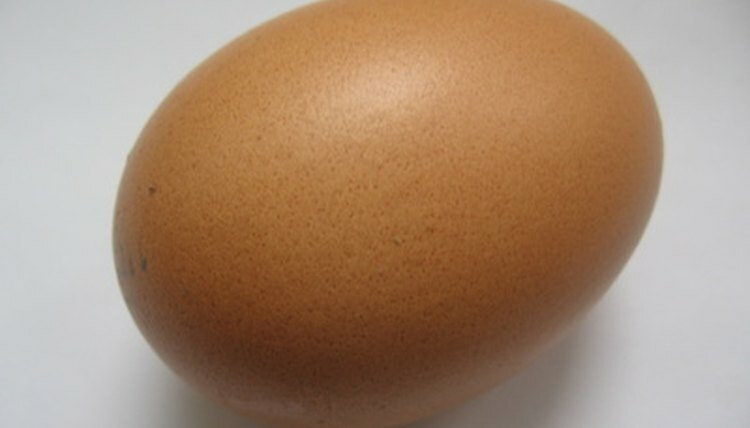 Verify the requirements for your egg with your local pet store or veterinarian. Many different animals lay eggs. Most types of eggs can be readily identified by the different coloring and markings on the shell. Hatching an unclaimed egg is a long process that can takes weeks depending upon the incubation time of the animal. But the process is truly rewarding when you see your animal crack out of its shell for the first time. The most common egg is the chicken egg, but hatching another species of egg follows similar guidelines. Mark both sides of the egg with a pen. You can mark it side 1 and side 2, or use some other noticeable marks. You will be flipping the egg and this lets you know which side you are on. Place the egg or eggs in an incubator. The incubator will keep the eggs warm and moist. Using a thermometer and a hygrometer, verify that the temperature where the eggs will sit in the incubator is at 99.5 degrees and that the humidity at the same location is at 50%. Increase the humidity to 70% to 80% humidity for the last few days of incubation. The incubation period is approximately 21 days. Position the eggs in the incubator with the large end slightly higher than the point. Rotate the eggs frequently throughout the incubation process. Three times a day is sufficient for chicken eggs. But during the last few days of incubation, do not rotate them. You can also buy an incubator that automatically rotates your eggs. Candle the eggs after 2-3 days and again at about a week. Candling requires that you place a candle or light inside a box or dark object with a small hole in the side that lets light out. Hold the egg to the hole and you should see a dark or blurry mass after a few days. If the egg is clear with no mass after a few days, check again at a week. If by then no embryo has developed, the egg did not get fertilized properly and will not hatch.